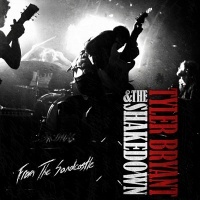 In September, 2011, I had the privilege of interviewing Tyler Bryant and review his then-new EP, From The Sand Castle. This was after a Boomerocity reader had turned me on to Tyler’s work. The seven songs from Sand Castle left me hungry for me. Well, my wait is over. 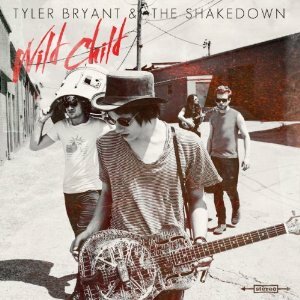 Tyler Bryant and the Shakedown has come out with their long-awaited album, Wild Child. The disc included tunes from from the band’s two previously released EP’s, Sandcastle (Say A Prayer, House That Jack Built) and My Radio (Where I Want You) in addition to eight other tunes that haven’t been made available on a disc. This disc will rock you to your very core with rock, blues and everything in between. I guess what I really enjoy about listening to anything and everything Tyler and the guys do is that they seem to have genuine fun making music. Just watch any of the many, many video on YouTube and you’ll see what I’m talking about. These guys have FUN and they’re obviously in this business for the love of the music and the continuous perfecting of their already top-shelf craft. Whether in the studio, rehearsals or in live gigs, these guys never just mail it in. If you want straight-forward, good time rock n’ roll that will part your hair right down the middle, download or order a copy of Wild Child and, then, after you’ve done that, order the other discs by Tyler and the boys. I guarantee you that you won’t be the slightest bit disappointed. Yeah, they’re that good. All rights reserved. Permission for use may be obtained by contacting Boomerocity.com on this site.